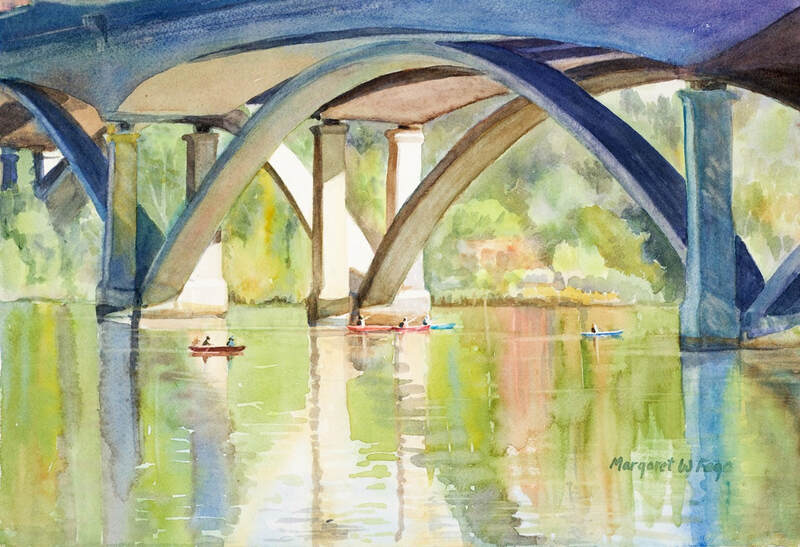 About the instructor: After twenty years of being around boats, marinas, and the bay and ocean as a sail maker and boat canvas designer and watercolor painter, Margaret now devotes her life, full time, to capturing images of water scenes and moods in watercolor paintings. She sells original work and fine art limited edition prints of her work and her paintings can be found in collections in the US and abroad. Learn more about Margaret Fago. Description: Develop your painting voice while learning watercolor techniques. We explore color mixing, color values, glazing and brush strokes, hard and soft edges, finding and defining a center of interest, and much more. Notes: Intermediate to Advanced; Prerequisite – Previous class with or permission from the instructor. Minimum enrollment required for classes to proceed. By enrolling you are agreeing to the Frank Bette Center Cancellation Terms and Refund Policy.